Phillip Silver is a set, lighting and costume designer for theatre and opera whose work has been seen in some 300 productions on major Canadian stages from coast to coast. His designs have earned him a Sterling Award and three Dora Awards plus five nominations. 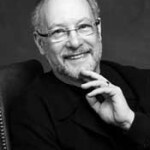 Professor Silver’s credits include the North American touring production of the Andrew Lloyd Webber musical Aspects of Love;The Merchant of Venice and a dozen other productions at the Stratford Festival; Democracy for Toronto’s Tarragon Theatre and the Manitoba Theatre Centre, Winnipeg; The Canadian Opera Company production of Albert Herring; Six Degrees of Separation and Proof for CanStage, Toronto; Skylight at the National Arts Centre, Ottawa; Wit for Citadel Theatre, Edmonton; The Marriage of Figaro for Pacific Opera Victoria; The CanStage/Dancap production of Ain’t Misbehavin’; and Rose and The Sisters Rosensweig for the inaugural season of the Harold Green Jewish Theatre Company in Toronto. Phillip Silver served as commissioner-general of the Canadian exhibit for the Prague Quadrennial ’99, the 9th World Exhibition of Stage Design and Theatre Architecture held in the Czech Republic, and returned to the Prague Quadrennial in 2003 as keynote speaker of the International Organization of Scenographers, Theatre Architects and Technicians (OISTAT). His designs were exhibited at Prague in 1998, 1999 and 2003, and in World Stage Design 2005. Translating his skills and experience as a stage designer into full-scale, real-world applications, Phillip Silver has served as theatre consultant for some 20 performance facilities in Canada, including York University’s Centre for Film and Theatre; Edmonton’s Citadel Theatre; the renovation of McGill University’s Moyse Hall; two new theatres and a recital hall at the University of Lethbridge; the John L. Haar Theatre at Grant McEwan Community College, Edmonton; and the Arden Theatre, St. Albert, Alberta and the theatre in the Canadian Museum of Civilization, Ottawa, both designed by Douglas Cardinal. As the representative of the Faculty of Fine Arts user group on York University’s project committee for The Accolade Project, he was actively engaged in the planning, design and realization of new fine arts teaching, performance and exhibition facilities that opened at York in 2006. Professor Silver served as Dean of the Faculty of Fine Arts at York University from 1998 to 2008. He is a past Chair of the Canadian Association of Fine Arts Deans, past president of Associated Designers of Canada, and a former member of the board of the Art Gallery of York University. He currently serves on the board of the Theatre Museum Canada. In recognition of his professional achievements as a designer, he was inducted into the Royal Canadian Academy of Arts in 2008.